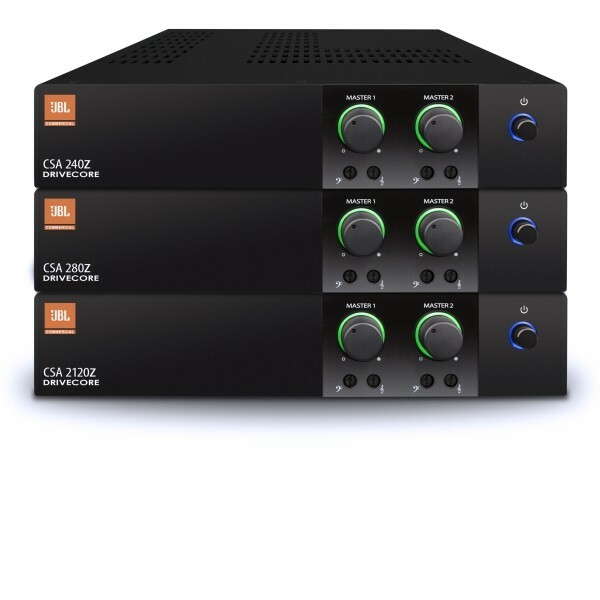 Online Catalogue | Audio | Amplifiers | JBL Amplifiers | JBL CSA2300Z - 2 Channel Commercial Amplifier. 2x 300w Output. 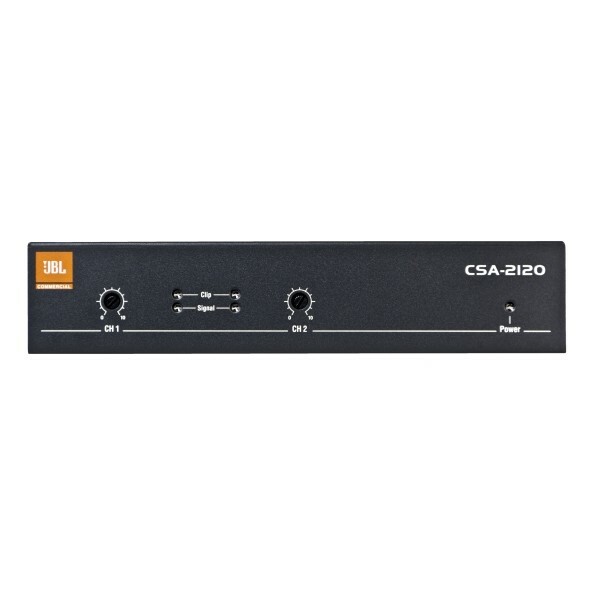 JBL CSA2300Z - Two Channel Commercial Amplifier. 2x 300w Output. Built In 70/100V Transformer. Space Saving 2U Design. Sleep Mode Disable Function. Sleek Industrial Look With Illuminated Rings Making Knobs Easy To See And Use. Supports JBL CSR-V Wall Controller Via CAT5. The efficient performance of Crown’s DriveCore Technology continues to set new standards in commercial power amplifier technology. Supporting 70V and 100V installations out of the box, CS amps include RJ45 connectors for use with JBL CSR-V in-wall volume controls.